Did you know that New York City is the #1 searched destination by Canadians on Skyscanner.ca? It really shouldn’t be a huge surprise when you think about it. Canadians love to travel, but many people are afraid to take long flights. New York City is world class and it’s always making headlines. With so many things to do in New York, Canadians are naturally drawn to it. What makes New York City great is its international appeal. It’s a diverse city with 5 unique boroughs, but most travellers tend to visit just Manhattan. Venture outside just a bit and you’ll find there are plenty of new and exciting things to explore. 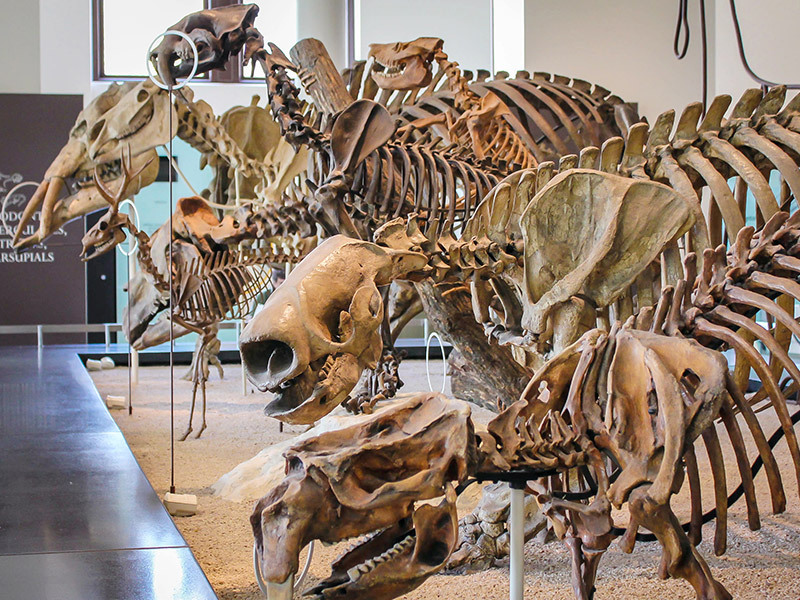 From food to museums, you’ll never be disappointed when visiting New York City. New York City is known to be expensive, but there are quite a few budget options. The New York City official guide even has a side dedicated to free things to do in the city. High Line Park – Tourists and locals have been raving about the High Line for years and for good reason. This elevated park was built on disused railroad spur and has now become an urban oasis. The park stretches 2.33 kilometres and can be accessed at various points in the Meatpacking District and Chelsea. Staten Island Ferry – New York City has one of the best skylines in the world and there’s no better place to see it than from the Staten Island Ferry. Ferries depart from the Whitehall Terminal in lower Manhattan every 30 minutes, with frequent service during peak times. You’ll definitely want to make riding this famous ferry a top thing to do in New York City. Whitney Museum of American Art – This attraction isn’t free, but I wanted to highlight it since it’s new and not that many people know about it. The museum has a stunning collection of modern and contemporary American art and was designed by starchitect Renzo Piano. Saving money is a priority for many, but New York City has some awesome attractions that are worth spending money on. The New York City CityPASS bundles some of New York’s most popular attractions for a single price. Shake Shack – Started as a food cart in Madison Square Park, Shake Shack has now grown to become a fast casual restaurant with locations around the world. Famous for their Angus beef burgers and milkshakes, the chain also serves beer and wine in many locations. 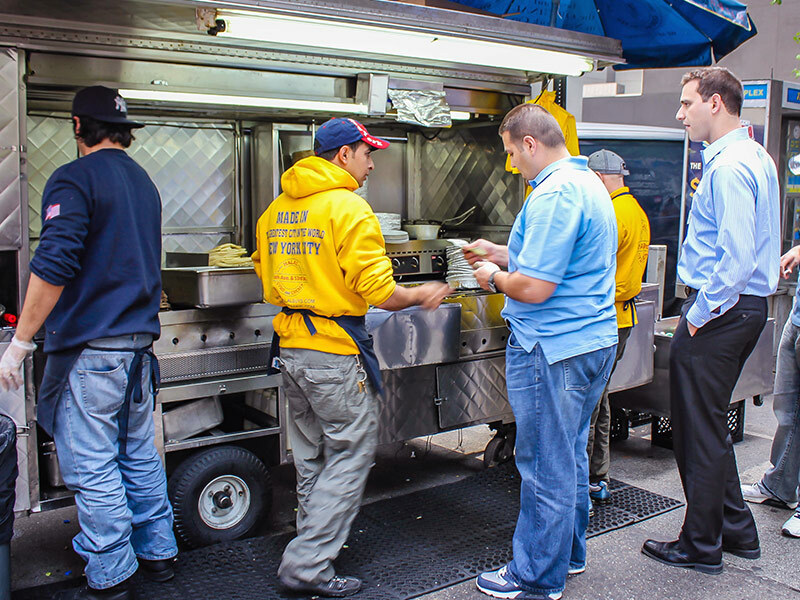 The Halal Guys – These guys have been in New York for 25 years and are considered the pioneers of American Halal food. Their menu is pretty simple with the only options being chicken, gyro, or falafel, but it’s the famous white sauce that gets everyone hooked. The original cart is located at 53rd and 6th. Eataly – When entering this 50,000 square-foot space, you might feel like you’ve entered a whole new city. Eataly is a large scale marketplace that combines restaurants, bakeries, coffee shops, and retail all into a single space. It may sound like madness, but it’s an incredible experience to eat or drink here. HI New York Hostel – Located in the Upper West Side, the HI New York Hostel is easily the most popular hostel in NYC. They’re known for their free programs and activities to meet other travellers and to see the city like a local. You’ll find this classic on many budget travel tip lists for good reason. Marriot Hotels – If you want to splurge a little bit, the Marriot Residence Inns are a popular choice. They have multiple locations including at the World Trade Center and Central Park, and they often offer last-minute deals. New York City has one of the best public transportation networks in the world. It’s also a walking friendly city so you can save a ton by avoiding cabs. From the airport – If you’re flying into either LaGuardia or JFK airports it’ll probably be easiest to take the NYC Airporter to get into Manhattan since the prices are reasonable. However, if you’re landing at Newark, take the Air Train that connects to the Amtrak trains. It will get you to Manhattan for under $12. Metropolitan Transportation Authority – To ride the subway or bus, you’ll need to pick up a MetroCard at a station booth or MetroCard vending machine. Pay-Per-Ride (Regular) MetroCard’s are popular for tourists since you can share one card among your travel group; it costs just $2.75 per ride. If you’re going to be in New York City for a week then the 7-day unlimited ride MetroCard might be good value, but each individual will need one. Looking for a cost effective way to plan getting from point A to point B? Here’s The Travel Itinerary Planner You’ve Been Waiting For. And don’t forget, whether you’re taking a quick trip to the US or visiting for an extended vacation, you’ll need to get medical travel insurance. Accidents and emergencies can happen and you’ll want to be protected just in case. Have your own budget travel tips for New York City? I went to New York on a budget last year and I saved a lot on accommodation since I stayed in a hostel. New York City may be known as the most expensive city in USA, but there’s also no shortage of free things to do. I already visited some museums, Time Square and Statue of Liberty. I also went to a lot of diners and clubs and I watched free concerts at Central Park after checking out the NYC Parks website. By the way, I found a website listing free events in New York which is great because I didn’t have much of a budget. I think FreeEventFinder.com might be useful to people also visiting New York who are looking for free things to do. That is true. NYC may be considered expensive to visit, but can surprise you with a number of interesting activities you can find if you look closer. Your New York trip on a budget sounds fun with the hostel stays, diner dinners and concerts at Central Park. Thank you for sharing the website, it looks like a great resource for learning about local events.